Sam Youngman, Politico Magazine: The ultimate hate-D.C. essay of 2013. This Town is what you make of it. 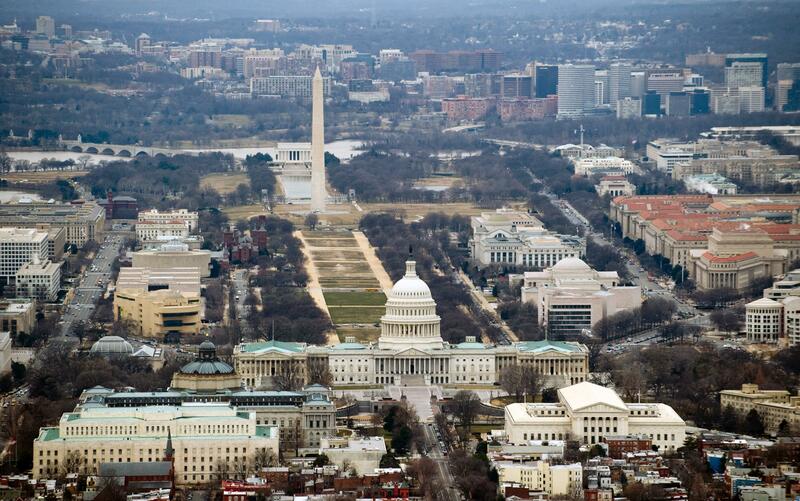 It’s the perfect epistle for a year that D.C. gave up on itself. I’ve been here since 2004 (in the city proper since 2006), and there’s never been such a cloak of shame over the place. Long gone is the optimism of 2006, when it looked like an election loss for George W. Bush would change the course of the Iraq War (it did), or 2009, when … I shouldn’t have to repeat the whole Obama story, or even 2011, when a class of post-Bush conservatives arrived to cut spending. No, it’s worse now. The year started with Annie Lowrey’s piece about the D.C. building boom financed by the ever-growing government, continued with Mark Leibovich’s condemnation of “America’s gilded capital” and its political class, and wrapped up with a National Book Award for George Packer’s book about how America’s middle and lower classes were collapsing and the NYC/D.C. elites didn’t care. It’s horrible. I’m with you. It’s awful how members of the media in D.C. obsess over trivia and act like Stanley in the Congo when they travel to strange places like Iowa or New Hampshire. Reporters should get out of D.C. as much as possible. If Youngman’s essay lights a fire under ‘em, fantastic, what took them so long? Here’s a secret: D.C.’s what you make of it. If you want to be a callous climber, you can do so, just as you can do so in Dallas or Los Angeles or Atlanta or wherever else Real Housewives are grown. Youngman’s essay is written to be bulletproof, so everything that reads mean (“Washington hot, which is a step above rehab hot and two levels below jury duty hot”) is chased by something that makes the reader empathetic (“When I returned from my 28 days in rehab”). He sounds like he’s still making up his mind about how much to blame D.C. for its effect on people and how much to blame himself. Well, there do seem to be a few million people in the D.C. area who do not work in media but build middle-class or working-class lives similar to the ones you see in other cities. These are mostly bad habits that you can avoid, easily. They do not vanish when one leaves D.C.—see how often local political scientists are quoted in local papers to say something obvious. And one of them’s not even a bad habit. The reporter who eschews polls in favor of talking to voters would have been blindsinded in 2012 when Barack Obama, with his poll leads, beat Mitt Romney, whose team was tweeting excitedly about crowd size. To survive in D.C., and to not waste his reader’s time, a reporter absolutely needs to be aware of the place’s pretense. Absolutely he shouldn’t be dazzled by the pomp of the White House or Congress—these guys are renting the places. That doesn’t mean he’s going to become a narcissist with no interest in stories about poverty or war, any more than someone who works near a bakery needs to develop diabetes.